We’re calling on local businesses to compete for the St Clare football trophy! 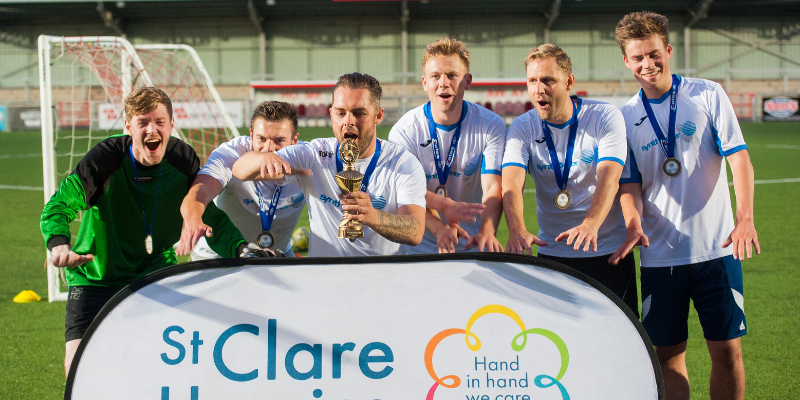 St Clare Hospice is calling on local businesses from across the area to battle it out on the pitch at our annual Business Football Tournament this summer. “We’re on the lookout for businesses to come and show off their ball skills on the pitch at our annual footie fundraiser!” says Amy, Corporate Fundraising Manager at the Hospice.